The coming world of 5G brings many promises: much-needed new spectrum, increased capacity, huge advances in throughput and ultra-low latency for mission critical services. Many operators are in an advanced phase of trials with pre-standard service launches likely in 2018 from carriers such as Verizon and South Korea's KT. But despite the 5G promise, 4G still has much to offer. Investment in LTE remains substantial as operators seek to maximize existing network investments and deliver capacity and performance gains. Perhaps rightly, many are asking why the industry is becoming so obsessed with 5G. This is understandable given the capital investment involved and that use cases like autonomous cars and remote patient surgery seem some distance over the horizon. I'd argue we need to avoid taking an overly arbitrary view on how we get to 5G. The situation is very different from the 3G to 4G transition. The industry desperately needed LTE to address problems of capacity, spectral efficiency and throughput. The rapid growth of app usage and the early demands of video on mobile networks meant operators had to invest in 4G to address near-term customer usage. In 2016 the landscape is different. The LTE roadmap still has plenty of headroom to accommodate demands over the next few years, be it for low-power, wide-area usage or bandwidth-intensive applications such as video. This doesn't mean that 5G isn't important, but the dynamics that characterized previous-generation transitions aren't applicable in 2016. It's clear that 5G is a critical step forward. It opens up much-needed spectrum to support growing data demands and deliver speeds in excess of 5 GHz while simultaneously offering improved spectral efficiency and cost per bit. All this will take time – for standards to be developed, for globally harmonized spectrum to be embraced, for spectrum to become available and for networks to be deployed with sufficient coverage. LTE Advanced and LTE Advanced Pro play a central role in laying the foundations for 5G. This is important given that many initial implementations of 5G, at least outside of Europe, will focus on mmWave spectrum with propagation limitations. We can already see this taking shape with the recent launch of Qualcomm's first 5G modem, the Snapdragon X50, for the 28 GHz band. LTE's characteristics will also heavily define 5G as part of the standardization process. These include OFDMA, carrier aggregation, full-dimension MIMO, 256 QAM, License Assisted Access and Enhanced License Assisted Access, and MulteFire. It's reassuring to see LTE Advanced Pro gaining momentum and the industry avoiding the pitfalls of a preoccupation with 5G in isolation from its predecessor. An example is narrowband-IoT (NB-IoT). The advent of category M1 and category NB1 means LTE now has the means to address low-power, wide-area applications with the advantages of cost, scale and quality of service relative to proprietary alternatives. Not only will NB-IoT heavily define narrowband in 5G, but it will also be responsible for the growth of the Internet of things over the next five to eight years given that narrowband 5G won't be standardized until 3GPP Release 16. Similarly, the launch of Gigabit LTE in 2017 is critical to providing the speed, performance and coverage required for LTE to support 5G. We expect operators to rapidly deploy LTE Advanced Pro in 2017, using three- and even four-carrier aggregation, 4x4 MIMO and 256 QAM to achieve downlink speeds approaching 1 Gbps. Telstra's launch of a mobile hot-spot device in partnership with Netgear and Qualcomm is the first of such moves and we can expect near gigabit speeds in flagship smartphones in the second half of 2017. 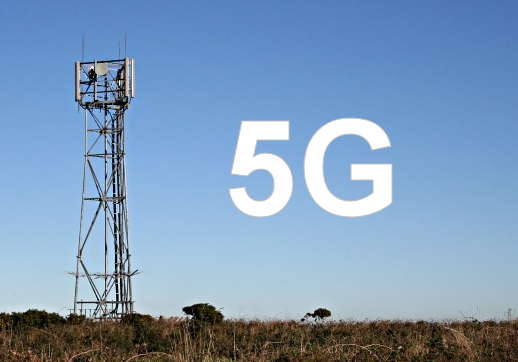 The coming world of 5G promises huge advances in of speed, capacity and low latency. Of course, inevitable and sizeable challenges come along with this transition relating to cost, spectrum and technology. However, LTE is laying a foundation and is an integral part of what the next-generation network becomes. The development of 5G is well underway and those that are defining 4G stand to play a central role in the next phase. This article was first published by FierceWireless on 15 November 2016 and can be viewed here.